As usual, there was a plethora of thought leadership at Focus, JDA's annual conference. It seems they also realize thought leadership only counts if people actually implement it. They are increasingly focused on ease of implementation and use and broader adoption & so that all that integrated end-to-end intelligence turns into realized value. The theme of the conference was ‘Delivering a Seamless Customer Experience.’ Bal talked about what that means for the supply chain: segmenting markets and then defining and aligning the supply chains to meet the unique needs of each of those segments; intelligently predicting demand and connecting that upstream to adaptable manufacturing; and doing it all profitably by optimizing inventories, rapidly adapting to changes in demand, and orchestrating warehouse, transportation, and delivery together. Bal then talked about JDA’s four big strategic imperatives: 1) delivering real results and success to their customers (including being honest and responsive when things go wrong), 2) being a great place to work and empowering associates, 3) being profitably driven and operationally excellent, 4) be the leader in their space. 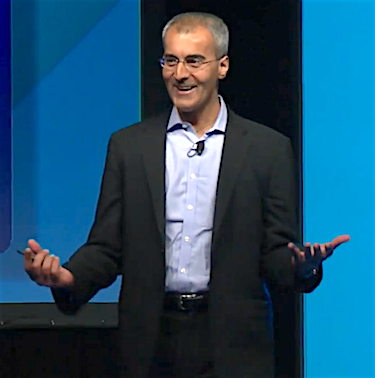 He talked about JDA Stratus, which will be out-of-the-box cloud solutions to allow rapid startup with preconfigured solutions, starting in workforce management, transportation management, and forecast replenishment. Razat Gaurav, JDA’s EVP and Chief Revenue Officer, talked about what the supply chain of the future might look like, based on ‘customer-centric supply chains of one’ that are connected/synchronized, real-time/always on, and self-learning/adaptive using machine learning. These will be built on JDA’s next generation technology platform that includes mobility, IoT, social, cloud, big data, and machine learning. JDA has about 100 existing products across transportation, merchandising, warehouse, demand management, planning and optimization, and other supply chain related areas. Razat talked about the need for disruptive applications, rethink the supply chain problem to harness IoT, robots, big data, and other capabilities that weren’t available previously. To do this, they have made investments in JDA Labs, where they create a fail fast culture. Through that, they are already seeing results turning into products, such as forecasting slow-moving inventory, or their Retail.me solution (see Retail.me section below). Partnering with Intel, JDA is co-developing a store visibility solution that gathers near real-time inputs from multiple streams of data. This can include overhead RFID readers2 that track the movement of inventory in the store, video analytics tracking people and things (customers, associates, inventory, assets), barcode scans such as in receiving and POS data, traffic counters, EAS data that alert when items have been stolen, and more. Razat showed a screenshot of their InStore Manager Dashboard running on a tablet. 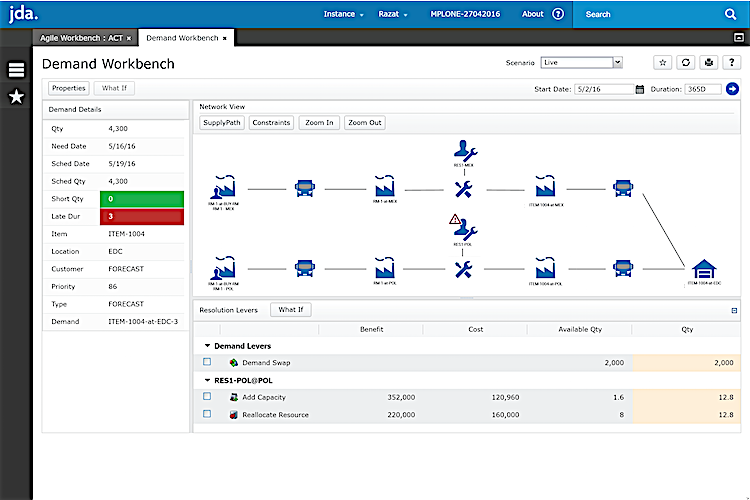 It brought together planogram management, workforce task management, and inventory into one view. In addition, tasks can be sent to associates' phone-based apps. These kinds of systems hold the potential to support a wide variety of use cases, such as optimizing how the workforce is tasked, based on much more precise knowledge of what is actually happening in the store; optimizing omni-channel picking for shipment or click and collect; greatly improving SKU/Store inventory accuracy, thereby reducing out-of-stocks and increasing sales and/or enabling more optimal deployment of fashion items and reductions in markdowns; quickly finding misplaced items; and providing merchants and store planners with much more granular and precise information about customers’ actual shopping behaviors and preferences. 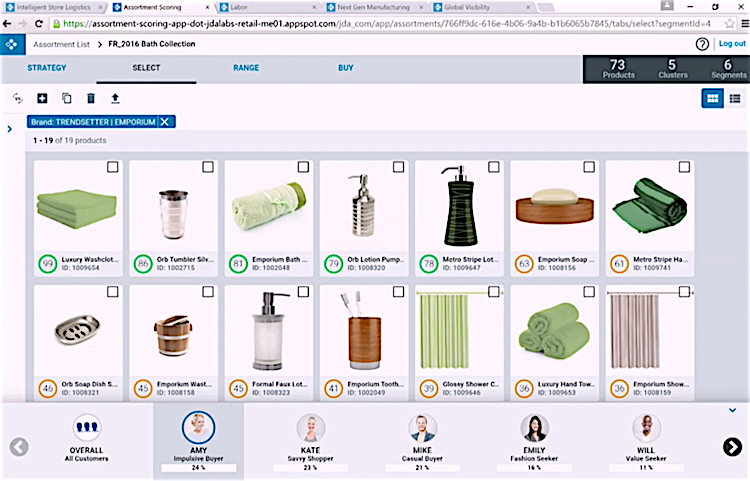 JDA and Intel are not the first to have this kind of ‘integrated intelligent store’ vision. However, others pursuing that vision come primarily from a retail auto-ID hardware and/or store security system heritage. JDA brings to the table their rich heritage and IP in supply chain, workforce management, omni-channel, planning and optimization, and merchandising to create a much more holistic vision and roadmap. 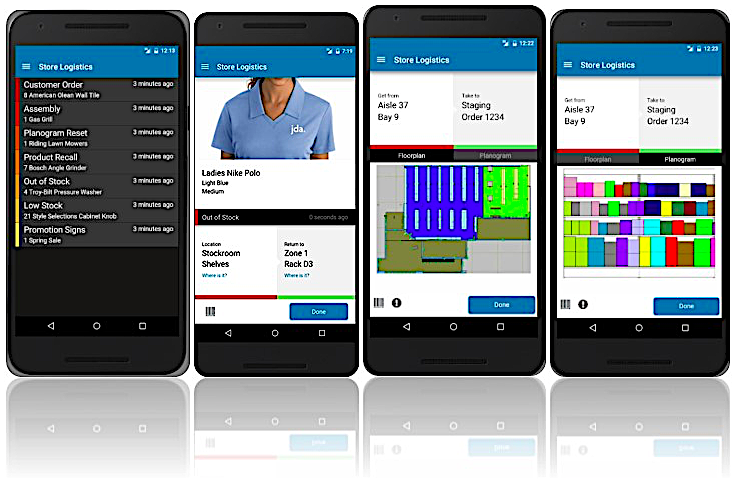 To date, the most tangible outcome of JDA Labs is Retail.me, which delivers a new customer-centric retail planning paradigm that promises to redefine merchandising and assortment planning and starts with customer segmentation. The traditional approach to retail customer segmentation is based primarily on demographics such as age, income, location, and gender. In contrast, Retail.me creates segments based on actual customer behavior—what they buy, why they buy, when they buy (e.g. buying the latest fashion items as soon as they arrive vs. waiting for them to be marked down), ‘returns behavior’ (how often, what items, where/how returned), where they shop (someone might live in one place but shop elsewhere), and so forth. This approach can provide segments that are much better predictors of the customer’s behavior and hence allows much smarter creation of assortments that cater to specific customer requirements, as well as deployment of inventory and labor. Retail.me was developed natively on the Google Cloud Platform, I think a first for JDA. Razat showed a live demo of the user interface for the next generation buyer/planner, which looked more like an Amazon shopping experience than the traditional dense Excel-like planning tool. It had images of each product with a score next to each one (with a lot of math behind the scenes generating those scores). Along the bottom was a set of profiles—reflecting the segments developed by Retail.me for this retailer, with names such as “Amy Impulsive Buyer” AND “Kate Savvy shopper.” Every product is scored against each profile/segment where the score predicts that shopper type’s level of interest and propensity to buy the item currently selected item (i.e. that specific style, color, material, etc.). The predictions changed whenever the planner selected a different item, or changed the color, or some other design characteristic (e.g. type of fabric). These scores are a guide for a buyer/merchandiser to easily determine the best assortment to bring to market. The growth of omni-channel has resulted in warehouses and DCs increasingly shipping more ‘eaches’ along with pallets, via a mix of parcel, common carrier (LTL and TL), and private fleet, with a variety of packing, shipping, and delivery requirements depending on the destination and requirements of the particular product and/or customer. This shift has caused the variety and sheer number of individual outbound shipments to go up. Some retailers, following the lead of Amazon, are using automation to deal with these enormous volumes of shipments. Labor is a big cost for many companies. JDA is tackling that cost by bringing their planning and optimization capabilities into labor planning. In his keynote, Razat showed how their system anticipated labor shortages during a specific shift, showed what increases in productivity and labor were needed to meet those demands, and prescribed a solution to the problem. JDA has had supply planning and S&OP for years. Now they are looking at leveraging sensors to understand what is flowing through the supply chain, and use that data to assess what potentially could go wrong, what are the potential bottlenecks and proactively present intelligent options. They are using machine learning to get better at identifying issues and prescribing solutions, whether it’s reallocating resources, adding capacity, swapping demand, or making other adjustments. They are working to expand on that playbook and give planners the ability to make those decisions intelligently. INTTRA—one of the largest maritime shipping portals,3 connecting most of the world’s big maritime carriers with shippers, consignees, brokers, and forwarders to create bookings, track and trace shipments, and request/generate the various documentation required for international shipments. According to INTTRA, 22% of the world’s trade begins in its network and they provide visibility into 35% of global container traffic. This visibility is valuable input to JDA’s prediction and optimization engines. FourKites—provides real-time location tracking of trucks, via its network of GPS and ELD4 service provider partners and integration into all major smart phones and old fashioned flip phones. They provide geofencing that can generate alerts/notification upon departure, arrival, and deviation from planned routes for each vehicle. TransVoyant—provides predictive analytics, based on massive streams of real-time and other data from many different sources (sensors, GPS, weather, news, social media, etc.). TransVoyant’s engine is optimized for geospatial data, ideal for use with supply chains and goods in motion, as well as within warehouses, manufacturing plants, stores, and so forth. This is perhaps the most interesting of the three partnerships. 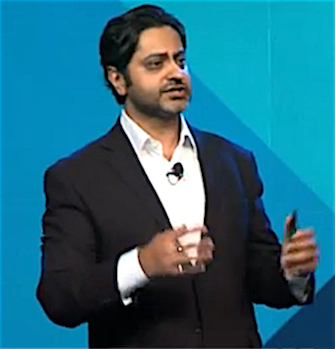 During his keynote speech, Razat illustrated the scenario of a container ship sailing across the Pacific and how the TransVoyant platform would know days ahead of time that it was going to be impacted by the emerging weather patterns ahead and provide an alert about the likely results (perhaps a late arrival, or changing route to another port). TransVoyant’s prediction is based on a combination of rules and machine learning derived from what similar vessels have done under similar circumstances in the past. 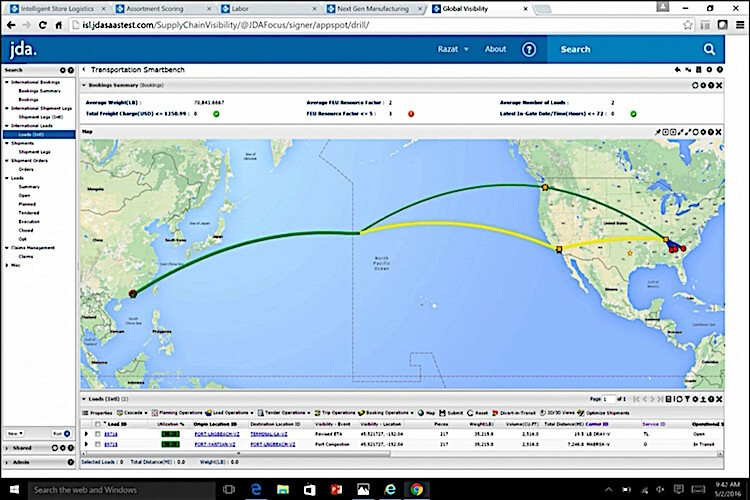 It seems to me the possibilities for using the TransVoyant platform with JDA go beyond just transportation management to other areas such as demand management, supply risk management, and other areas. The Google partnership is important for JDA … and for Google. Many, if not most other enterprise solution providers have selected Amazon or Microsoft for their cloud platform. JDA’s selection of Google’s platform provides an important validation point for Google as a provider of cloud service for enterprises, as well as experience in the supply chain. For JDA, it provides a cloud PaaS5 that can allow their heavy duty optimization algorithms to scale up and run quickly on an as-needed basis. As important as that is for JDA, the partnership is about much more than just gaining a cloud IaaS. For one thing, JDA is interested in tapping into Google’s search data, which has tremendous potential value for retailers, wholesalers, and manufacturers alike. For example, consider the power of adding the intelligence gleaned from Google’s search data into TransVoyant’s prediction algorithms or into Retail.me intelligence. In addition, JDA said they are excited about the possibilities of leveraging TensorFlow, Google’s open source machine learning capabilities. TJ Higgins, President of Bridgestone America Consumer Tire Division, spoke eloquently about the challenges of connecting with their customers and differentiating their technology—as he put it, going beyond the mindset that all tires are just ‘black and round’—to build a stronger brand. 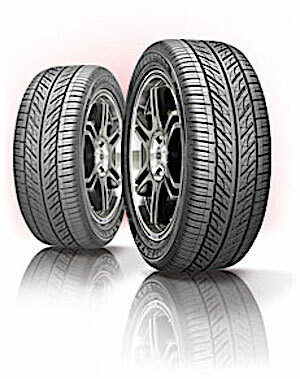 He said that people are more likely to know which pain reliever they prefer than which tires are on their car, in part because the choice of tires is already made for them when they buy a car. TJ discussed their strategy for optimizing: getting the right product at the right price at the right time and place. While they continually innovate their products, they are also trying to achieve operational excellence. Here they are working with JDA on a distribution model that is integrated through their plants, DCs, and out through the various channels include OEMs, dealers, wholesalers, other retailers, and their own network of 2,200 retail stores. Three other speakers in the keynote session had a common thread of inspired supply chains. Lars (Lasse) Gunnarsson, Business Solutions Manager at IKEA, said they were in the business of ‘fulfilling needs and dreams,’ so that those with thin wallets could have a beautiful home. He also talked about the importance of sustainability in IKEA’s culture. Kevin O'Marah of SCM World continued that theme by talking about the pivotal role supply chain plays in creating a sustainable and socially responsible world. He made a compelling case that supply chain professionals can make a major difference in the world in resource and energy use, climate change, socially responsible sourcing (such as conflict-free, child/slave-labor free, legally logged, etc. ), and reducing environmental pollution and waste. The last keynote was from Manny Ohonme, Founder and President of Samaritan’s Feet. Born in Lagos, Nigeria, Manny remembers getting his first pair of shoes at the age of nine, and then only because he won a basketball shooting contest. He was the first person in his entire community to own a pair of tennis shoes. He went on to get a basketball scholarship at the University of North Dakota and had a successful career as a supply chain technology executive, eventually at RedPrairie (now owned by JDA, of course). When he visited Africa, he saw many children without shoes and decided he had to do something, so he founded Samaritan’s Feet. He said they don’t just give shoes, but they provide hope. They wash the feet of each child before giving them the shoes. The child feels like they are somebody. It was also a supply chain story. 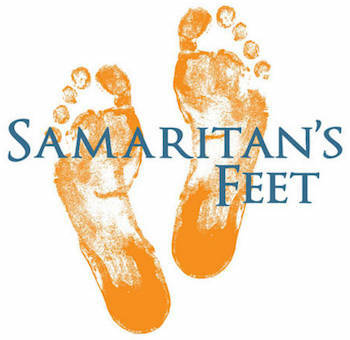 Samaritan’s Feet has distributed 6.5 million pairs of shoes. They do it using JDA software for inventory management and visibility, carrier selection, and tracking. It was a very uplifting talk, ending the keynote session on a hopeful note. It struck me that it says something about JDA to use a major portion of their keynote session on these inspiring supply chain stories. There were so many other great sessions in addition to the keynotes … too many to enumerate, but I’ll highlight a couple. In The Future of Manufacturing Planning: Top Trends for the Next Decade, Puneet Saxena (JDA’s VP of Solution Strategy for Manufacturing Planning) laid out the top ten trends in manufacturing planning. It was a good distillation of some of JDA’s thinking and direction in this area. You can read about it in JDA’s white paper on that topic. In Effectively Managing Slow Moving SKUs, Brian Steinmiller of FleetPride presented. FleetPride is a distributor of truck and trailer parts, a great example of ‘long tail’ slow moving parts. 40% of their SKUs sell only zero to three times per year at the local stocking level and another 30% turn a mere four to nine times per year. That means that 70% of their inventory has less than ten turns per year. He said they had a lot of excess and obsolete (E&O) parts as a result. They implemented JDA’s Slow Mover module and realized ROI by reducing inventory6 and increasing service level. It’s hard to boil a conference down into one theme, but one thing that struck me is that JDA is investing heavily, not only in increasing the intelligence built into their solutions, but making that intelligence accessible to a broader and broader swath of the workforce, from merchants to store associates, from transportation managers to warehouse workers, from supply chain planners to those responsible for fulfillment. This is JDA’s version of democratization of software—PhD intelligence for the masses, seamlessly integrated into their daily work task and routines. Driving widespread adoption in that way would be a path to growth and making a difference for JDA.